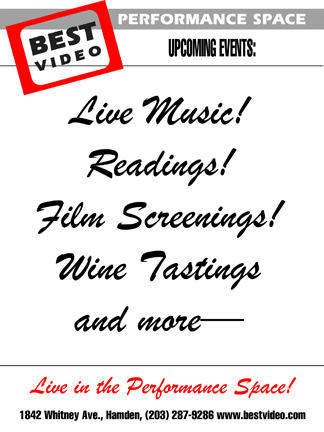 Guitarist Jim Hurst plays Best Video Performance Space on Friday, Apr. 12. The show starts at 7:30 PM. 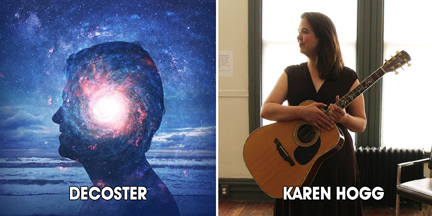 Advance tickets are $25 and are available through GuitarTownCT.com. To listen to Jim Hurst is to be amazed by his tasteful and flawless performances. Perfect timing and tone and his unusual picking style has enchanted guitar players from the novice to his peers. It’s no surprise, then, that his musical mastery began with a musical upbringing paving the way for a winding and varied career path. After a solid career touring and recording with Country and Bluegrass artists—Holly Dunn, Sara Evans, Trisha Yearwood and Claire Lynch—Jim decided in 2010 to embark on a solo career. Already seasoned with seven recordings, Open Window, Second Son, A Box of Chocolates, Intrepid, Looking Glass, Atlantic Crossing (duet recording w/Roberto Dalla Vecchia), and JHT-1 (from his Jim Hurst Trio), these exhibit his diverse and deft guitar work and soothing vocals. His shows meet with rave reviews as he astounds his audiences with his brilliant playing yet makes people feel right at home with his humble congenial and funny persona. Jim is currently performing solo full time and with his Jim Hurst Trio, both nationally and internationally, as well as teaching at camps and workshops in North America and Europe. Additionally, his highly sought-after talent has led to side projects with other bluegrass greats such as Claire Lynch, and David Grisman. But his solo show and his Jim Hurst Trio, which allows his personal style and unique creativity to come through in spades, is what keeps his audiences mesmerized. The Elm City Ramblers, led by Phil Rosenthal, play Best Video Performance Space on Tuesday, Apr. 9. The music starts at 7:30 PM and the cover is $5. 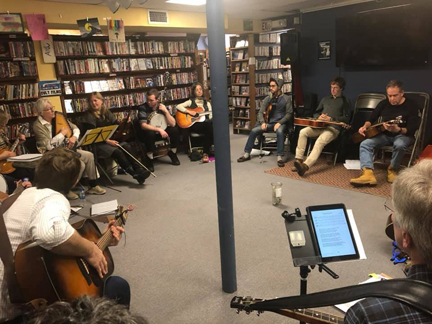 The Elm City Ramblers are a talented group of bluegrass/folk musicians, led by local bluegrass legend Phil Rosenthal, playing an assortment of classic, contemporary and original songs. 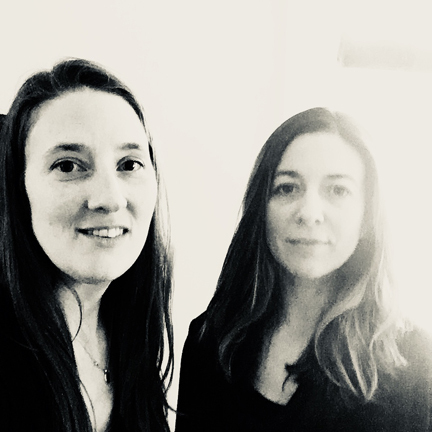 They meet weekly at the Neighborhood Music School, but make occasional appearances in the area, and are delighted to bring their music to Best Video! 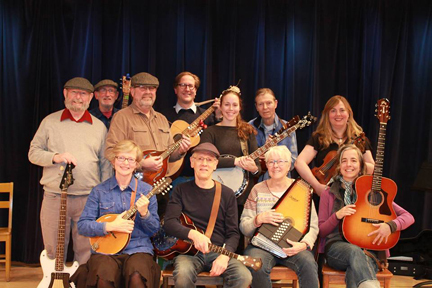 The group includes Mike Milano on banjo; Lenore Hammers on fiddle; Barbara Dobay Ljungstrom on autoharp; Bill Kaplan, Thom Peters, Rich Walser and Phil on guitar; Brian Funaro, Estelle Baik, Ruth Lively and Matt Light on mandolin; and John Jarvis on bass. Phil Rosenthal was lead singer and guitarist in the seminal bluegrass band the Seldom Scene. His compositions have been recorded by Johnny Cash, Bill Monroe, Nick Cave and others. 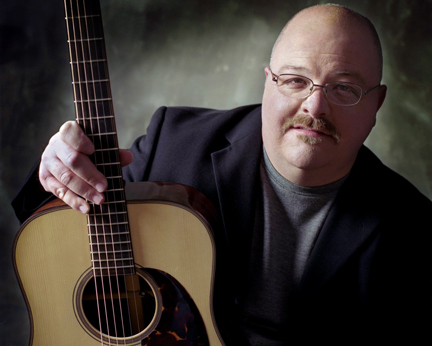 He was selected Connecticut State Troubadour in 1994, and has been called “a roots master” by Billboard Magazine and “one of the most expressive singers in traditional country music” by the Washington Post. He has performed with Jerry Douglas, Bill Monroe, Emmylou Harris, Jonathan Edwards and many others in his career in folk and bluegrass music. 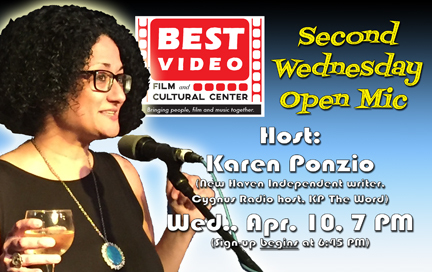 The “First Sunday” Hamden Bluegrass Jam—hosted by GuitarTown CT Productions—takes place on Sunday afternoon, Apr. 7, from 2—5 PM in Best Video Performance Space. 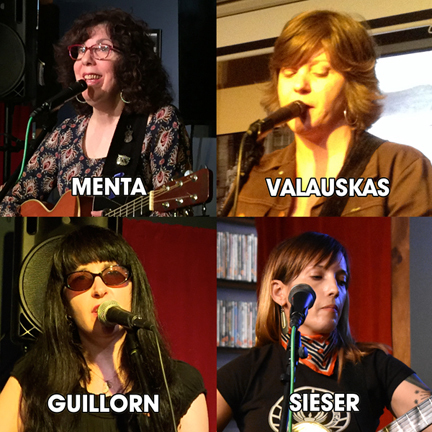 Django’s Reserve plays Best Video Performance Space Thursday, Apr. 4. The show starts at 8 PM and the cover is $10. 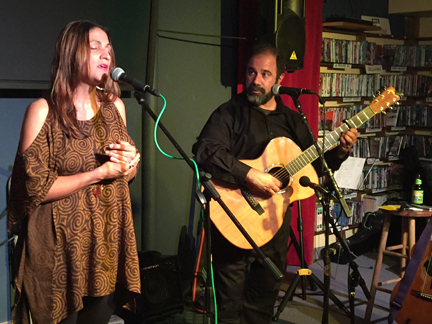 Django’s Reserve is an acoustic ensemble that performs jazz in the style of European gypsies, made famous by the great Sinti guitar virtuoso Django Reinhardt in the 1930s through the 50s. This tradition continues throughout the world today, renowned for its spirited improvisation and driving rhythms. While always paying homage to the greats, Django’s Reserve infuses each performance with original arrangements, personality, and a deep connection to the music as a living art. The group is Luke Hendon, Preston Parish and Johnny Florio on guitars along with Jamie Doris on bass and singer-songwriter Emma Rae. 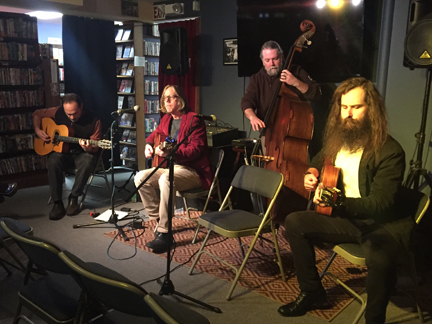 The jazz quartet BadSlax plays Best Video Performance Space on Wednesday, Apr. 3. The music starts at 8 PM and the cover is $7. One of the area’s liveliest and groovin’est bands, BadSlax is four seasoned musicians who love to play. Their eclectic-but-accessible repertoire which features tunes from some of the great contemporary and classic jazz composers (John Scofield, Pat Metheny, Charles Mingus, Herbie Hancock)–along with some originals–is consistently funky, sometimes swinging, and always cooking. In March, 2017 they debuted a new drummer, Keith LeBlanc! Keith is a versatile musician and producer with a long and varied career which goes back to his work with The Sugarhill Gang–yup, the “Rapper’s Delight” guys! 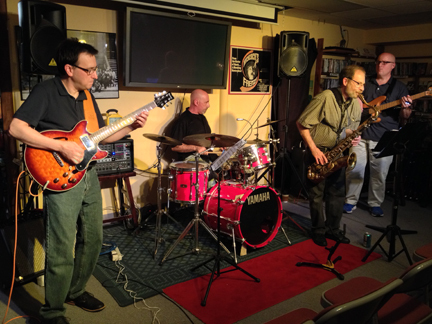 Keith joined the lineup of Mark Kaplan, tenor sax; Dave Mazza, guitar; and Jim Ludoviconi, bass.